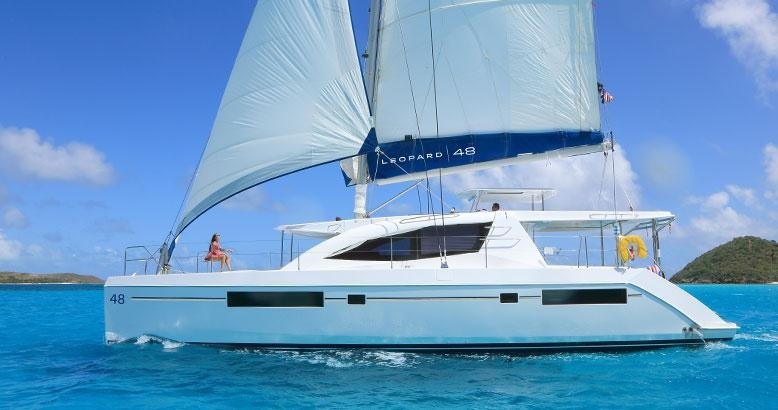 The award-winning Leopard 48 offers blue water performance and comfortable living spaces; this catamaran is a popular member of the Leopard line. The Leopard 48 features a large forward cockpit with direct access from the saloon and a stairway to the forward platform. Other exterior bonuses include a large and open aft cockpit with cockpit table. A raised helm station, providing excellent panoramic visibility, allows for excellent blue water maneuverability. 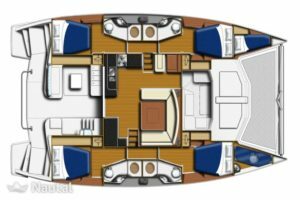 The galley of the Leopard 48 comes equipped with top-of-the-line appliances and ample prepping space. The expertly-designed interior makes sailing not only fun, but also incredibly comfortable. 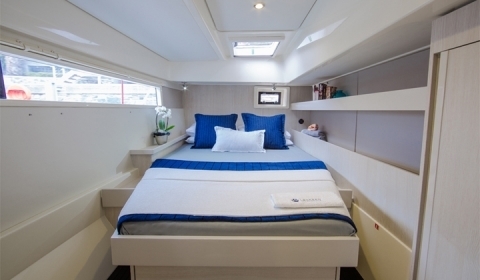 Her modern lines and open floor plan set a new standard for the modern cruising catamaran. L.O.A. : 48 ft. 5 in. L.W.L. : 45 ft. 5 in. Beam : 25 ft. 0 in. Draft : 4 ft. 10 in. Sail : 1555 Sq. Ft.
Load Carrying Capacity : 12564 lbs. Holding Tank Capacity : 45 gal.